One of the most important elements of growing any type of plant is making sure you have the proper lighting for it to truly thrive and do well in a given area. In traditional gardens outdoors, this is not usually a big issue, but for indoor growing, it can make the difference between plants that produce, and plants that flounder. This is even more prevalent in hydroponic growing because you can't simply set your plant next to a window and hope it does well. You have to make sure that the plants you are growing have the right amount of light or else all of your time and money will be wasted. 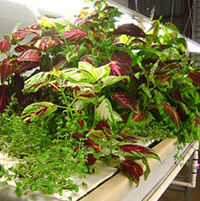 Even the best hydroponic systems will not perform without adequate lighting. So that brings us to the point of this article, how do you make sure that you are giving your plants the proper lighting to grow? This might seem like a simple matter, but things have come a long way in recent years when it comes to the technology. 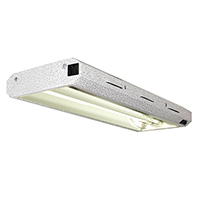 There are a lot of hydroponic lights out there to choose from. In years past it used to be that the only real options you had for hydroponic lights were either fluorescent bulbs, or basic incandescent bulbs. Those days are gone because neither one is truly efficient. The old way of measuring the intensity of light was called a candlefoot. This was the measurement of the power of a single candle placed one foot away from the object. This same measurement is still in use today only it is now called a lumen instead of a candlefoot. The other important factor is the spectrum of light that you are providing. The light we see is not a single color but in actuality a spectrum of colors. To grow plants properly you need to provide them with different colors, or wavelengths, for different parts of their growth cycle. For instance the blue and green wavelengths are used by the plant to grow and produce leaves. The red and orange wavelengths are used to bloom and produce fruit where applicable. Simply providing one spectrum of light will not get your plants through their entire life cycle well. Now before I lose you on all the technical science behind hydroponic lights, you might be asking yourself a rather obvious question at this point. If incandescent and fluorescent bulbs worked in the past, why can't they still be used today? The short answer is you can, but there is no reason to because the technology has come light years from just a simple bulb. I will try to explain. Let us first not ignore the fact that incandescent bulbs will soon no longer be available to purchase. The federal government is already legislating stricter standards for bulbs that incandescents just can't match. That said a basic incandescent will get you a nice high intensity of red wavelengths. The problem with these, and why they are considered obsolete, if that too much of the energy is wasted by generating heat. You can use a lot of these to grow your plants, but I wouldn't want to pay your electric bill. Standard fluorescent bulbs don't generate much heat and the "warm" bulbs will get you the red wavelengths while the white will get you the blue, however, their biggest drawback is the intensity of the light diminishes fast the farther away from the plants the bulbs are. 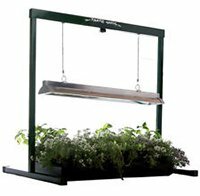 So you would need multiple fixtures on movable frames so that you could constantly keep the lights as close to the plants as possible. Not very user friendly is it? HID stands for High Intensity Discharge and these types of hydroponic lights are the undisputed kings of hydroponic growing. These lights use a high pressure gas filled bulb to generate light. The way these type of lights operate is by sending an electrical current into the bulb and at a predetermined voltage, the gas generates an arc which causes the bulb to light up. These bulbs produce an enormous output of light and mixed spectrums, which is what makes them truly ideal choices for hydroponic growing. The downside to these types of lighting is they do not come cheap and they tend to use a lot of electricity and create an awful lot of heat. These bulbs will produce around 120 to 140 lumen output for every watt. So a 250 watt bulb would generate somewhere around 30,000 lumens. This is more than sufficient for a basic 3 foot by 3 foot indoor garden. So while the initial investment will be a bit on the high side, the benefits over all the other systems currently available are huge. 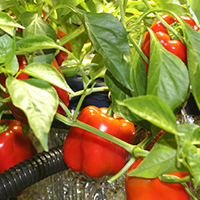 LED light, or Light Emitting Diodes are relatively new to the hydroponics industry and in most cases are still too expensive to be practical for most growers right now. However these bulbs have found their way into just about every type of lighting from Christmas lights to appliances, and as the technology gets cheaper, I'm sure you will see these become the new champion of hydroponic growers everywhere. LED grow lights have substantial advantages over traditional grow lights on the market today. The amount of power that they consume is fractional compared to the HID lights. They are high intensity lights, but they generate almost no heat. The lights can actually be adjusted from on spectrum color to another, depending on what stage your plants are in. LEDs have a significantly longer lifespan than any other bulb currently in existence. LEDs are also modular in nature, meaning as the technology becomes more prevalent in hydroponics, I'm sure you can expect to see fixtures that will allow you to "plug in" multiple LED bulbs of different spectrums, thereby running multiple spectrums are the same time for different plants in different stages. 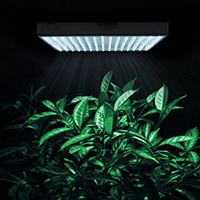 The future of hydroponic lights is looking exciting indeed!